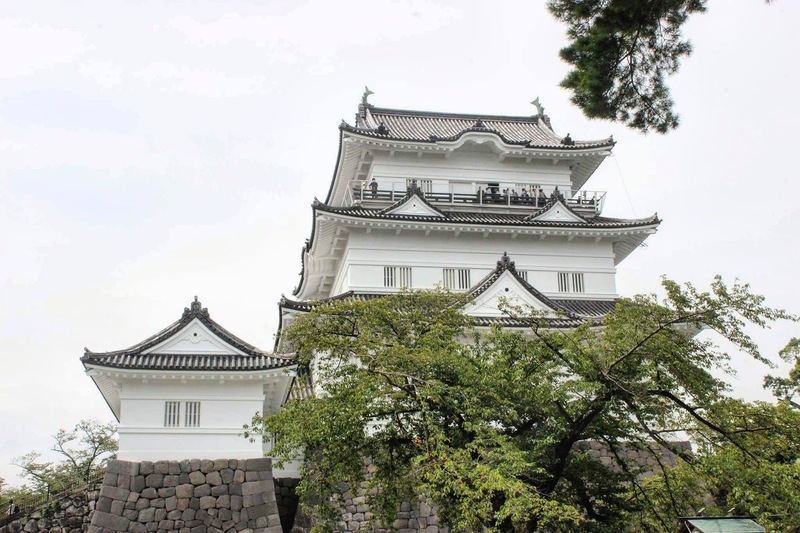 Since I did have a full two weeks in Tokyo, I knew that I wanted to plan a day trip or two. You can read about my day trip to Kamakura here, and the other day trip that I took was to Hakone. There's always the option of travelling with a tour group, but I believe that both of these day trips were easy enough to navigate on your own. I decided to purchase the Hakone Free Pass, which provides unlimited use of Odakyu-affiliated buses, trains, boats, cablecars and ropeways in the Hakone area. I started off at Shinjuku Station, and bought my ticket from a machine (English options are available!) for 5,140 Yen. I really like the all-in-one ticket concept because trying to navigate the prices of costs of public transit in Japan can be a bit difficult since it is based on distance traveled. This pass makes travelling super easy, and it also did provide a bit of a savings. From Shinjuku Station, I boarded an Odakyu Railways train headed for Odawara Station. 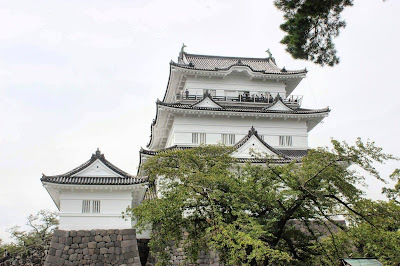 From here I definitely suggest taking a slight detour and walking to Odawara Castle, which is about a 10 minute walk, with a well marked path. There was a festival happening the day I visited, which was really neat to experience. After exploring the castle grounds, I made my way back to Odawara Station, and took another train to Hakone-Yumoto. Here is where the "Hakone Free Pass Loop" begins. Basically, the Hakone Free Pass allows you to explore Hakone via a variety of modes of transportation, eventually leading you back to the starting point. From Hakone-Yumoto, I boarded a bus which winded up a hill leading to Lake Ashi. On a clear day, you can see Mt. Fuji from Lake Ashi, but unfortunately it was quite foggy the day I visited. I then took the Hakone Sightseeing Cruise across Lake Ashi. You had the option to upgrade to first class, otherwise the regular admission is included in the Hakone Free Pass. The cruise offered beautiful views, and since the lake never freezes, the cruise operates year round. After disembarking the ship, I then headed for the Hakone Ropeway. I've been on a few ropeways in my lifetime, but I don't think that I'll ever find them anything less than absolutely thrilling. The ropeway offered beautiful forest views, and finally a view of a smoking volcano! The ropeway lets you off at Owakudani geothermal valley, a volcanic valley. I walked around and took in the incredible views, as this is definitely unlike anything I've ever seen before. And then the overwhelming sulfuric scent hit me. Every single tourist seemed to be eating these black eggs, which are meant to add years to your life, but the vegan in me decided to opt out of this cultural culinary experience. 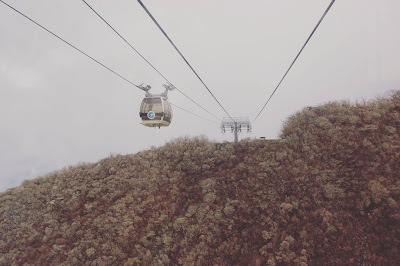 I then boarded another ropeway (yay!!) to Sōunzan Station. From there, I took a cable car to Koen-Kami Station, and then walked 4 minutes to Gora Park. Admission is free with the Hakone Free Pass, and offers a nice relaxing atmosphere. There's a beautiful fountain, rose garden, tea house, and green house. I then walked back to Koen-Kami Station, and took the cable car back to Hakone-Yumoto Station. From there, I took a train back to Shinjuku Station in Tokyo, and a subway back to my Airbnb. Even though this day was mostly spent on different modes of transportation, I'd still highly recommend adding it to your Tokyo itinerary if you have a day to spare. If you're a fellow vegan traveller, do be warned that there aren't many vegan options in and around Hakone, so I did pack snacks and I bought packs of inari whenever I passed by a FamilyMart of 7-Eleven. Have you traveled to Hakone before? If you've been to Tokyo before I'd love to hear what your favourite day trips were!